The CP Holiday Train is North America’s longest rolling food bank fundraiser. WHEN: Saturday, Dec. 10 from 6:45 -7:45 p.m. COST: Free – but attendees are encouraged to bring either a non-perishable food item or cash donation for the Calgary Food Bank. WHEN: Sunday, Dec. 18 at 3 p.m. and 7 p.m.
the Nations Flag Park, Congress Hall, Riders Chapel and the Pond. WHEN: Dec. 10 until Jan. 8, between 5 p.m. and 10 p.m. According to festival organizers, the Festival of Crafts is one of Canada’s biggest holiday handcrafted shopping events. For four days, the BMO Centre at Stampede Park transforms into a marketplace featuring over 250 Canadian artists, artisans, and designers. WHEN: Dec. 8 until Dec. 11. Take a trip to Heritage Park to experience Christmas from years gone by. You can enjoy a romantic wagon ride with a loved-one or sing Christmas carols with the kids. Other activities include gingerbread cookie decorating, a petting zoo and a vintage photo parlor. WHEN: Weekends from Nov. 10 to Dec. 28, 9:30 a.m. – 4 p.m.
Watch Charles Dickens’ classic novel come to life at Theatre Calgary. The play tells the story of how bitter Ebenezer Scrooge learns to open his heart and embrace the spirit of Christmas. This year will mark actor Stephen Hair’s 22nd year playing Ebenezer Scrooge. WHEN: Nov. 26 until Dec. 24. Organizers say the Lions’ Festival of Lights is the largest free drive-by Christmas lights display in Calgary. It’s comprised of over 300,000 lights. The festival is 99 per cent green, with over 115,000 LED light bulbs and almost three kilometres of power chords. WHERE: Confederation Park. The display can be viewed on 14 Street N.W., north of 24 Avenue N.W. Head to the Calgary Zoo to view their annual Christmas light display. Over 1.5 million twinkling lights line pathways and twist around trees, forming animals, shapes and flashing to music. Dress warmly because this event is outside – but if you get cold there are fire pits to keep you warm, as well as hot chocolate. COST: General Admission $14.99, child (ages three to 15) $11.99, infant (ages two and under) free. A staple among numerous ballet companies, the Nutcracker tells the tale of Klara and her Nutcracker as they battle against the evil Rat Tsar and his army of mice, set to Tchaikovsky’s score. WHEN: Dec. 16 – 24. A cast of five actors will perform this iconic Christmas story as a live 1940s radio broadcast. 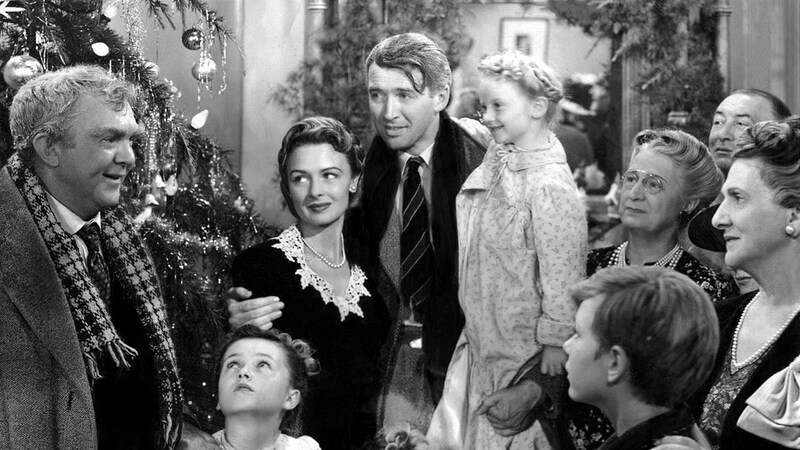 It’s a Wonderful Life tells the story of George Bailey, his guardian angel Clarenece and the town of Bedford Falls. WHEN: Nov. 28 until Dec. 21. It’s murder mystery dinner theatre with a Christmas twist. During this interactive event, guests experience the Mistletoe Mall’s annual award party. The recipient of Employee of the Year receives a trip for two to Paris and $50,000. There will be one winner, and one big loser. Who will it be? WHEN: Dec. 21 until Dec. 23. Organizers say the goal for the 2016 Santa Shuffle is $30,000. Money raised goes to the Salvation Army to help support their programs and services. WHEN: Saturday, Dec. 3, 10 a.m. until 2 p.m. Loose Moose Theatre presents their take on Charles Dickens’ A Christmas Carol. Each year is slightly different, featuring unusual styles and settings for the Christmas classic. WHEN: Dec. 8 -10, 15 – 17 and 21 – 23. Grab your mittens and headlamps and join this 2km/5km nighttime fun run. Money raised helps support the Senior Secret Service, who bring community spirit and cheer to isolated seniors. Set to the sounds of the motion picture soundtrack, families can journey to the “North Pole” on a train. Passengers will be served milk and cookies, and hear a reading of The Polar Express. Upon arrival at the North Pole, Santa will greet the children and each child will receive their own sleigh bell. WHEN: Nov. 25 to Dec. 24. WHERE: Aspen Crossing Railway, 1km west of Mossleigh, Alta. on Highway 24.